Get a competitive quote on outdoor advertising in Akron! Akron, Ohio is the fifth largest city in Ohio and presents plenty of outdoor advertising opportunities. 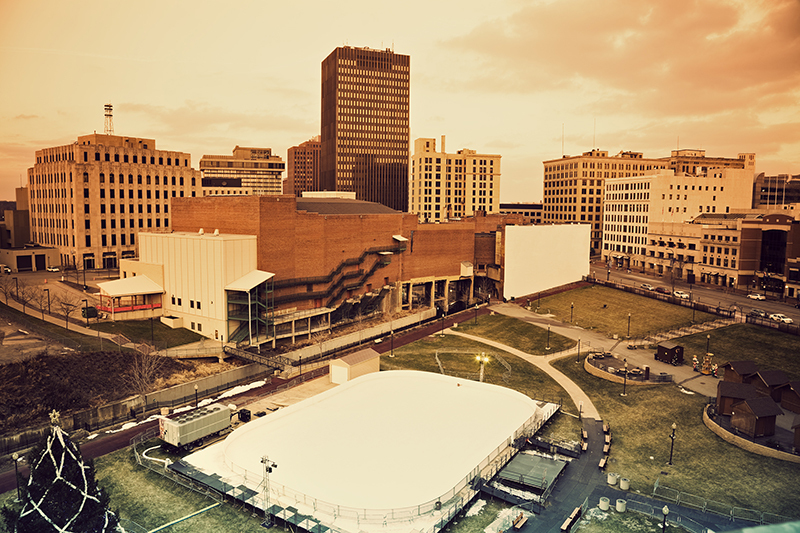 Akron is home to a wide array of visual and performing arts performances, displays and museums, as well as housing the headquarters of companies such as Goodyear and Huntington Bank. BillboardsIn can help you find billboards along the I-76 and I-77 highways, or along the busy streets of Broadway or Exchange Street. Or, BillboardsIn can help you find transit advertising, cinema advertising and street furniture advertising options throughout the city. However, it does not matter which form of outdoor advertising you choose, it will definitely impact your business for the better. Choose an ad format below to learn more. BillboardsIn will help you get competitive quotes from multiple vendors using the largest database of outdoor advertising in the U.S.